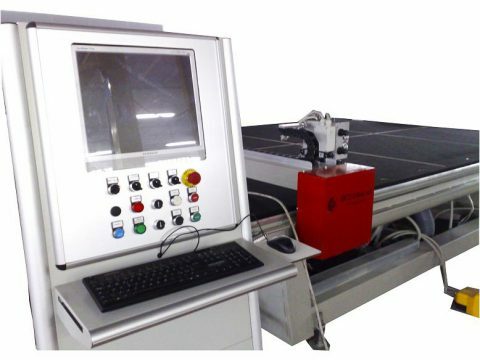 Automatic table for liner cut X,Y. Tiltilg working plane and structure made up of electro-welded steel tubular pipes. 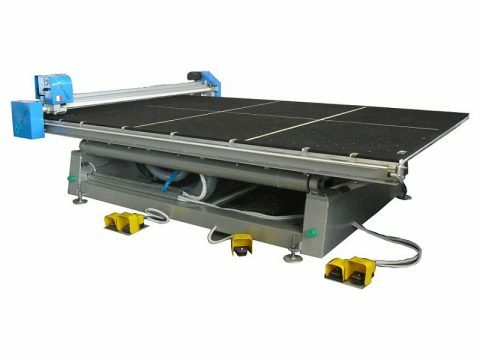 The cutting bridge, made of steel, is placed transversally to the machine and it is set in motion by Bushless motors. 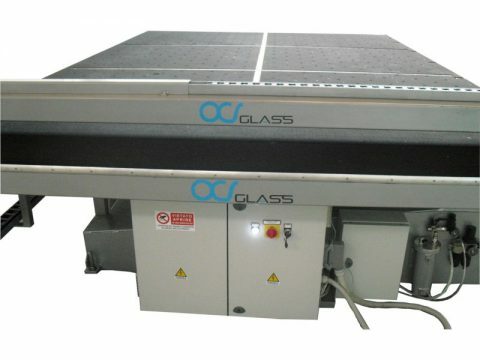 The cutting pressure is adjusted, by the operator, in accordance to the glass thickness, as well as lubrication. 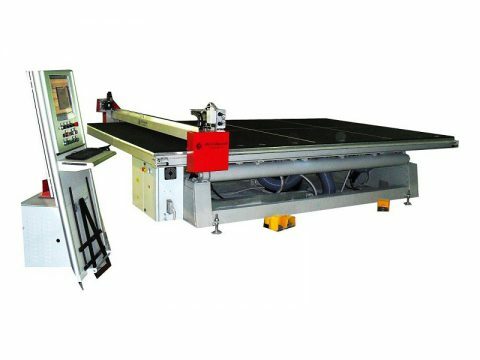 All movements are controlled by CNC numerical control and the transmission is by belts. The table is equipped with 3 breakout bars (2 trasversal + 1 longitudinal) activated pneumatically. 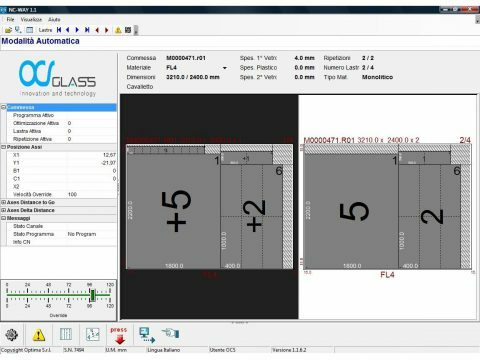 This table is equipped, in its standard version, with “Double Zero” option to cut laminated glass, of optical barriers to protect the working area, PC Station and optimization software.